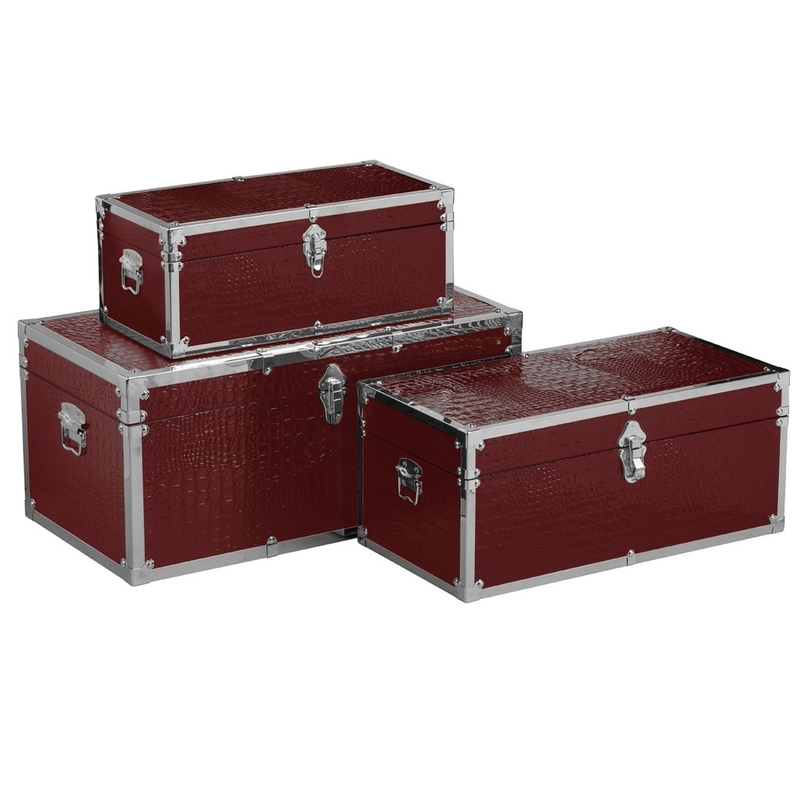 Make your home feel a lot more complete by introducing this beautiful Set Of 3 Trunks. It has a magnificent design that's sure to stand out and impress, whilst also creating a warming and welcoming environment in any home. These trunks are created from a stunning particle board and have been given a fantastic red colour.